For our 2nd trip in our 12 trips in 12 months goal we escaped to Hill Country, you could call it Austin, TX but it’s a little out of the way in Spicewood! 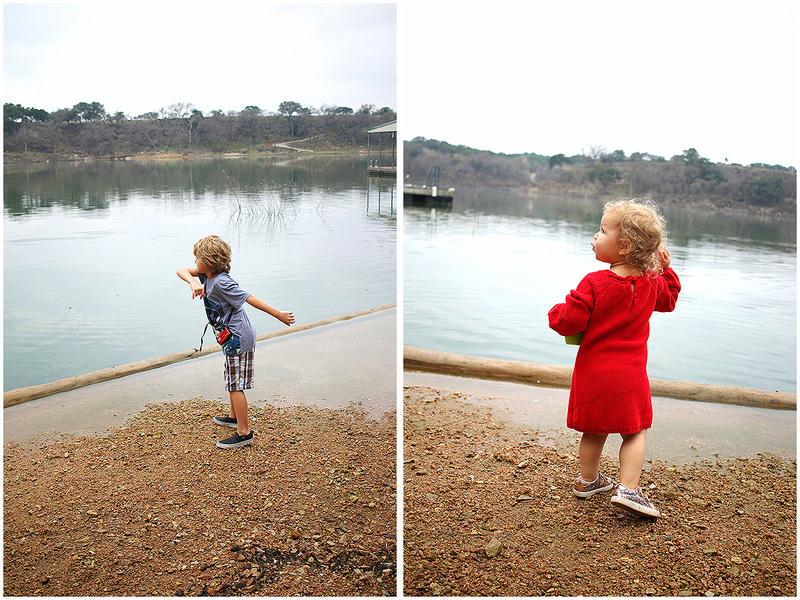 You can bet I said Spicewood more than my husband’s ears could handle. And when choosing this get away we decided to go with the flow & try not to plan every minute. Except for where we stayed, which was EASY once we found the cutest eco-cabin through Glamping Hub! 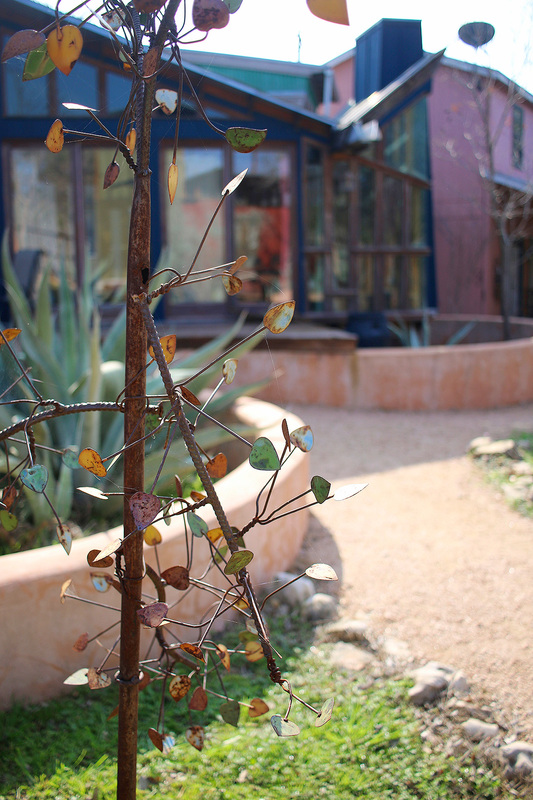 Glamping Hub has such an AMAZING collection of not just places to stay between activities but places to experience! Our cabin itself was a masterpiece created by architect Marley Porter. 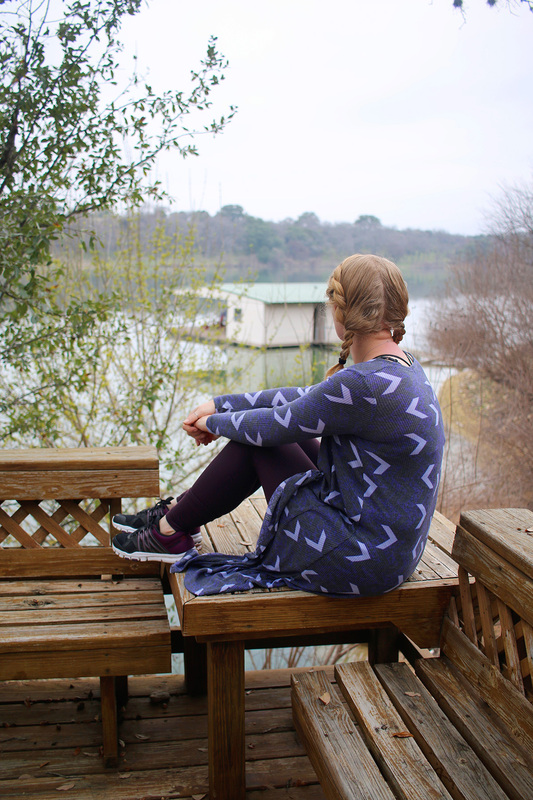 We had a beautiful view of Lake Travis from the moment we stepped out onto our porch (maybe that’s because it’s “winter” here). We arrived on Friday night & our host greeted us but it was so chill. I’m always nervous there will be someone who want to talk to me when I need to just hit up a restroom. Our host just let us know the basics & there were instructions for anything else pretty much in our tiny cabin. Our tiny & well equipped cabin was perfect for our family. 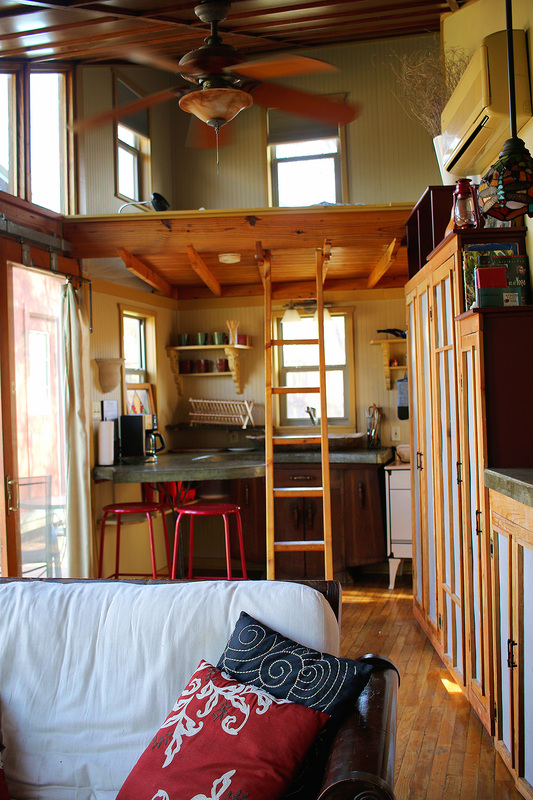 The sofa was a futon & the loft over the kitchen was furnished with another sleeping quarters. We decided the guys would sleep on the loft while Emily & I slept on the futon. 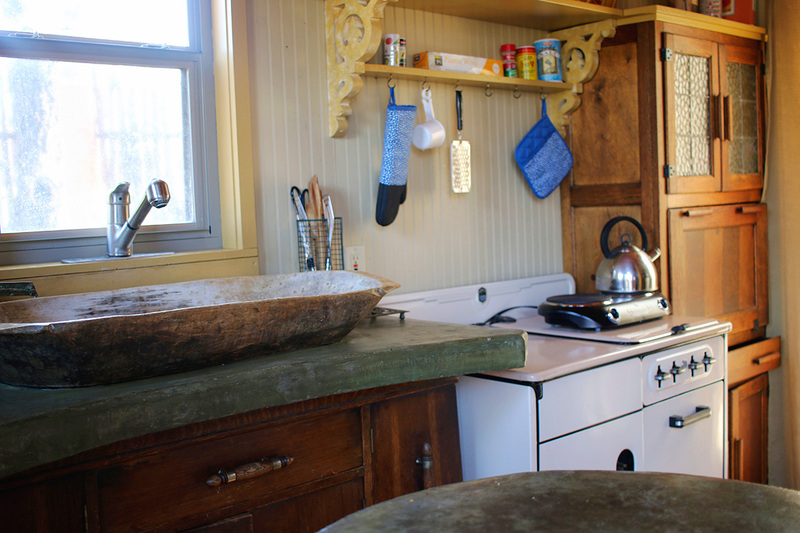 I loved the details in the kitchen with the curved counters, wood sink basin & the antique stove hosting as more storage. While we had the option to schedule yoga classes, kayaking & various entertainment we decided to just relax. It’s not often when you allow yourself to take all the pressure to get things done & just relax. So that’s exactly what we did. 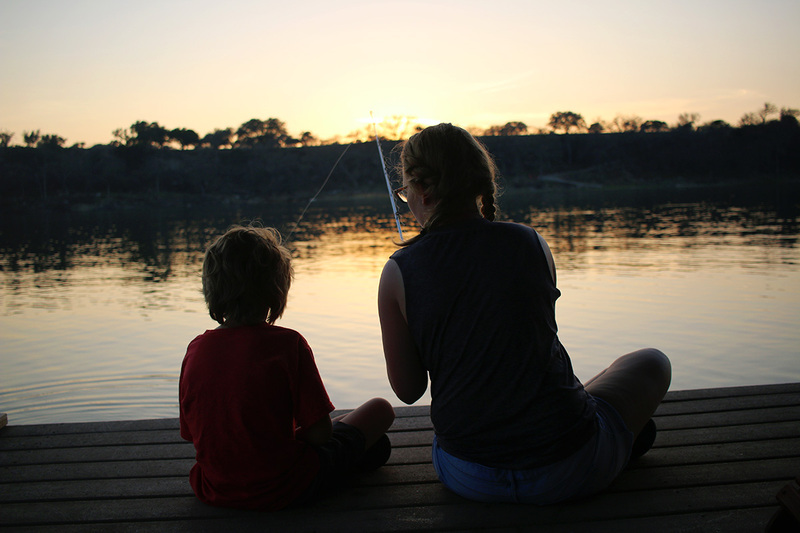 Laid in hammocks, watched the sunset, attempted to fish (before we got bored) & even got cozy with s’mores to watch Willy Wonka…. 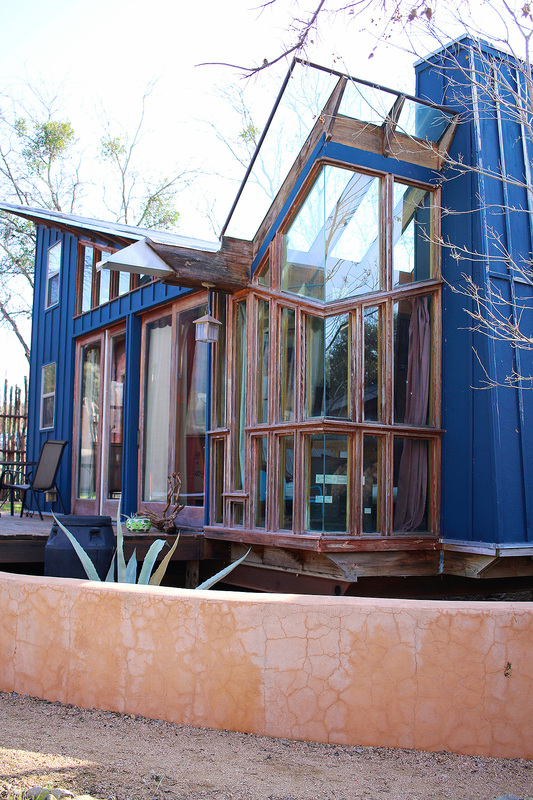 What I completely loved is that we had “neighbors” because there was a collection of sweet eco-cabins nestled together. So Emily & I would sit on our porch to watch our neighbors start their days. We watched a couple take a private yoga lesson in one of their outdoor areas, we watched couples sleepily pour out of their cabin with mugs of coffee & it’s just those sweet moments that were so nice to take time to watch. I can’t wait to book our next trip but have no idea where to go but it’ll probably be another Texas get away since this great state has so much I have yet to see. 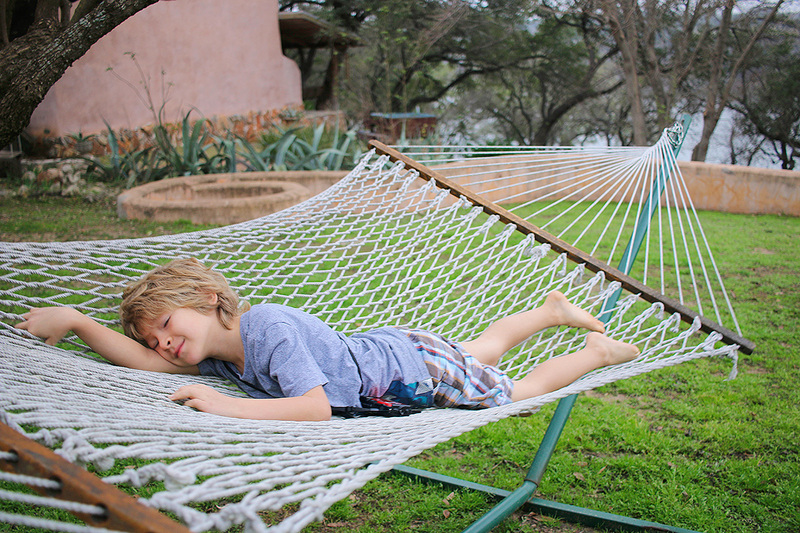 There are tons of Glamping Hub sites in Texas...where would you head to? 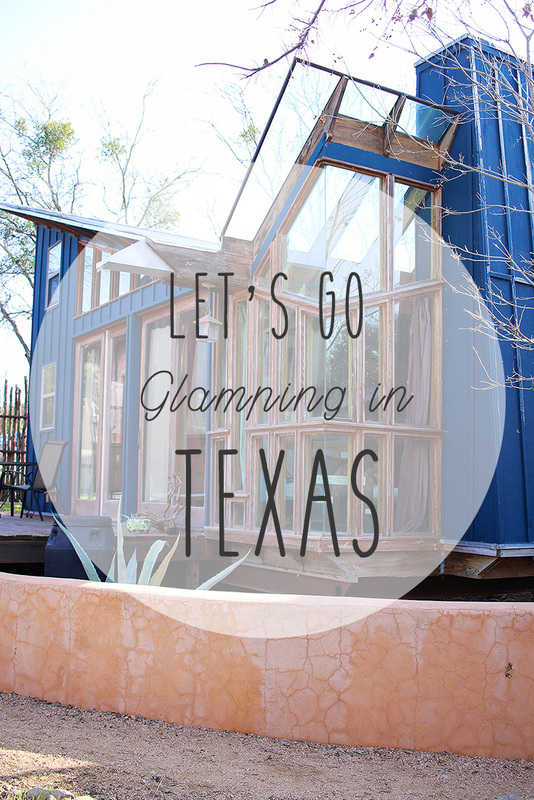 This post & glamping trip was made possible by It’sPamDel partnering with Glamping Hub. Thank you to Glamping Hub for sponsoring this post & experience. Visit Glampinghub.com for an awe inspiring collection of beautiful places to experience & stay. All opinions, thoughts and love are 100% my own. Wonderful place! I always love places at the see of at a Lake! What a gorgeous spot! This is my kind of camping. Oh my gosh how awesome! I definitely check in go it Glamping Hub right now! That looks simply Fabulous – looks like a great place to get away from it all…. How fun is this!? I’ve been wanting to do some glamping so this would be awesome! LOL…this has me all over it! What a beautiful place! Looks so relaxing! This is such a cool idea!! Looks amazing!! Have to check it out!!! Such a great idea! We would love to go with my husband on 12 glamping trips in 12 months… ha ha! and write about them on our FB page 🙂 We wrote about your cool challenge (mostly in French, we’re in Quebec) and we can’t wait to read about your next trip!